DynamicOps or VMWare Cloud Automation Center has a great feature that can be adopted to provide data driven workflow execution. As data within the VCAC database (or other MSSQL database) is changed (Create, Update or Delete) via the REST Interface, events can be configured to trigger workflows. The database row that triggered the event is provided as the workflow input argument. We will add an event to the VirtualMachineTemplate (VCAC Blueprint) table to start a workflow when a new Blueprint is created, this could be useful if a centralised catalogue service, or a CMDB or service catalogues needs to be dynamically updated. This allows this to be done simple and in a declarative manner saving on lots of code that may be required if a polling service monitored this table instead. 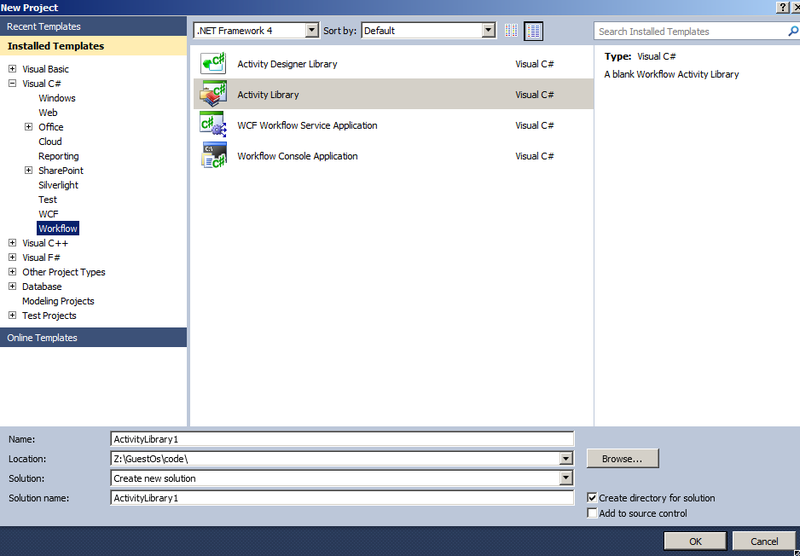 Remove Activity1.xaml file that the new solution creates for you. Keep these default settings as configures the solution with correct DynamicOps dll’s and generates workflows/xml & deployment details. 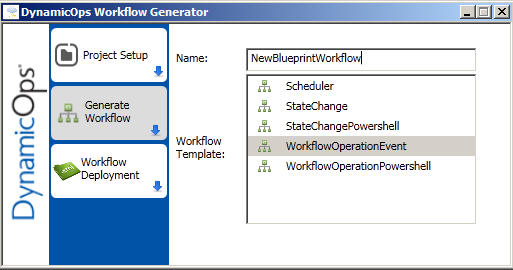 Enter the workflow name – NewBlueprintWorkflow as an example, I always provide Workflow as the suffix as best practice. Select the WorkflowTemplate WorkflowOperationEvent, this can be used to generate events and execute the workflow when triggered. Select Workflow Deployment Tab and remove Workflow, leaving the event name as “NewBlueprint”, again best practice. 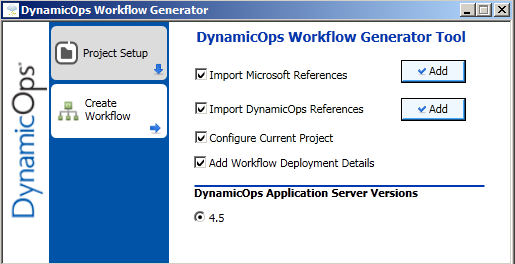 NewBlueprintWorkflow – the xaml workflow that can be loaded into the DynamicOps repository. This will run the appropriate business logic when the event is triggered, ie: update a central service catalogue somewhere. Readme-NewBlueprintWorkflow.txt – instructions on how to deploy these files into DynamicOps Application Server. By default a WorkflowOperation is used as an event. This object/table is the default table to start workflows in the system. Remove the EntityFilter, this is used as a constraint, in this case we will start a new instance of the NewBlueprintWorkflow every time a new one is created. Upload the event into the DynamicOps repository with the CloudUtil command. Thats it. Really simple way to start a workflow and execute business logic just by applying a new event into the system. Alternate databases can be modelled this way using the DynamicOps model manager too. Thanks for putting this together. I've been looking around for different examples on workflow execution. Question for you: “VirtualMachineTemplates” entity.. does the entity property refer to a database table name? since it has create/update/delete properties to watch, I thought it might be a direct map that way. If it's not a table name to be watched, what does that represent? And is there a list available somewhere that would show available options to hook events on to (if it isn't the table name of the vCAC database)? Just a note about my name/blog.. This isn't a troll post, I had forgotten I started this blog a bit ago, and only after publishing did I realize what account it hooked to, haha. Yes VirtualMachineTemplates is a table in the database. Whenever the tables changes (Create,Update,Delete) via the ODATA API an event can be created in which a workflow can run. 1. It does not trigger when the entity datatype is INT and I try to put a filter as a number. It does work if the entity datatype is byte. 2. It does not trigger when a string value is larger than a certain limit or has got special characters. In the example below, 1st event fires while 2nd does not.. Please do share some knowledge.